The easiest way to train monkeys to fly is by tying a banana to a string and attaching it to your broom. Start off by flying lower to the ground and then gradually get higher and higher until evolution kicks in and the monkeys grow wings. Now that I say that out loud it doesn’t actually sound that easy, does it? Flying monkeys are so cool, but man, unless we can get access to a lab and create a crazy hybrid bird/monkey, I don’t think we’ll see it in our lifetime. Which is totally unfair, because the wicked witch had those little beasts at her disposal. The wicked witch was known for a lot of things, none of which were all that great. But no matter how creepy we thought her flying monkey lackeys were, you have to admit she picked the perfect cronies to do her bidding. 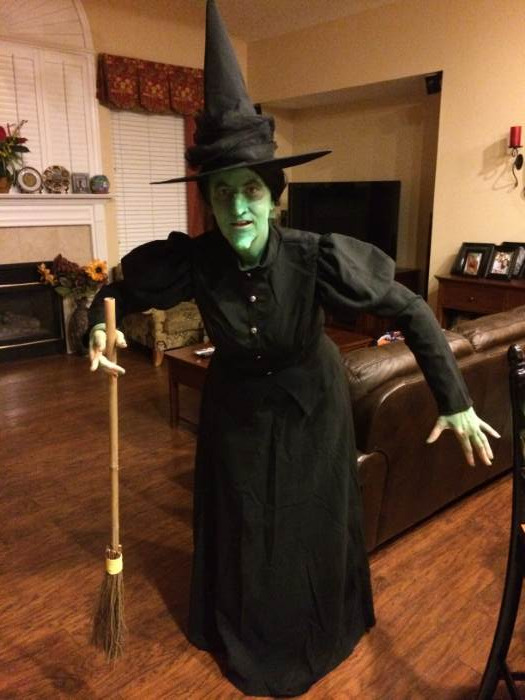 If you want your own flying monkeys, the easiest way to get them is to put on this women’s black witch costume. Your monkeys will automatically grow wings and follow your every command. 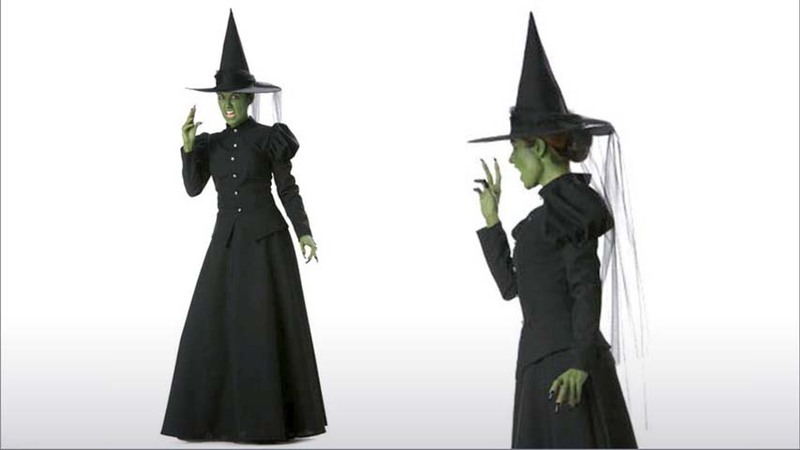 This witch costume comes with everything you need to bring out your witchy side from head-to-toe. Start with the black gown that fits snugly in all the right places. 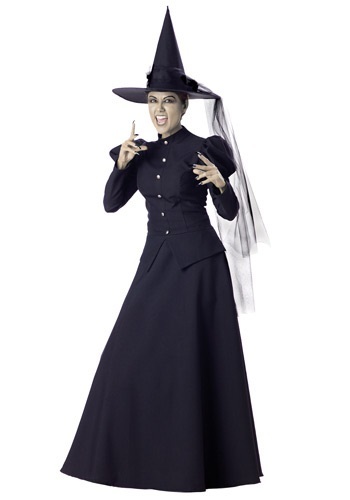 The petticoat gives the gown a little volume and the traditional witch hat comes with a tulle bow. Complete the look with the included black fake fingernails. Add some green face makeup to really bring out your wicked side this Halloween. Well worth the price!!! This was the best costume that I have ever purchased. It is very well made, extremely authentic and was the hit of the party. I wore a fake nose and chin and painted my face green. The fit finder works great too. The costume was great really worth the money. But, for sure go up two sizes I wear a 10 and had to order an XL because the large didn't fit. Worth the money you won't be disappointed with this costume!